Device development projects includes several stages. Icraft is able either to handle the whole development project with a turnkey principle or to complement and speed up customer's own product development by implementing defined part of the desing, for example schematic and PCB layout design as well as manufacturing of the first production series (so called zero series). The main electronics desing software in Icraft is Altium Designer, but we have also know-how on PADS. An essential part of a product development project is requirement specification. Carefully, together with the customer implemented specification produces cost savings not only in product development process but also in manufacturing cost, because device can be optimized to meet customer's needs. Electrical environment is an essential design criterion in sense of EMC-phenomenon. Environmental conditions such as moisture, vibration and temperature have an effect in thermal design as well as in component and material selections. Mechanical requirements have to be taken into account from the very start of the project. During the print circuit design an exact 3D model of the PCB together with components is implemented and transferred to the CAD-program. 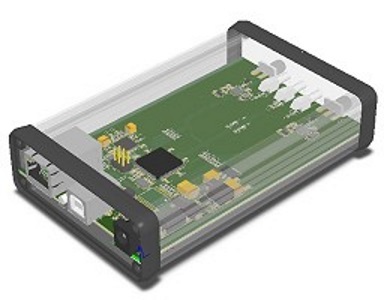 This is an essential aid in enclosure and user interface design. Also the 3D model of the enclosure can be imported in to the program. In computer aided desing (CAD) we use SolidWorks software. Icraft also has a small workshop in which we are able to manufacture prototype mechanics for example from plastic and aluminum. For small production series we can manufacture for example front panels with a CNC machine. In many electronics design projects Icraft is able to take care of PCB purchasing and assembly by hand. 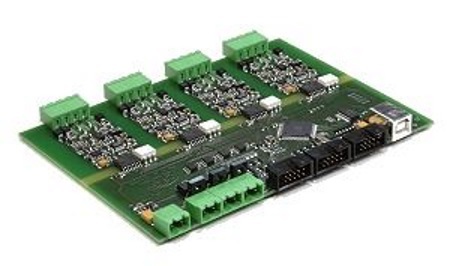 In larger manufacturing series PCB assembly is outsourced. Especially if the delivery time is critical we are able to assemble simple two sided PCB inside the company. Depending on the application and manufacturing case Icraft is also able to handle final assembly and testing especially in small series production. Our main software environment for new software is Qt, which makes it possible to develop for multiple operating systems (Windows, OS X, Linux). Almost all modern electronic applications contain one or more processors. 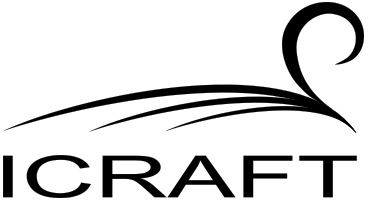 Icraft has used chips from several manufacturers, mostly from NXP Cortex, Atmel and Microchip. Input/output interfaces are usually implemented with Ethernet, USB or some kind of wireless link. Many R&D projects include research and development of new structures. Included research increases uncertainty of project cost and schedule. Research work requires strong theoretical and practical knowledge as well as innovation capacity. In an academic research it is many times enough that something works in theory, but in productization it is essential that an application works in practise. Often, transferring of theories into real applications, requires ability for quick prototyping so that functionality of theories can be ensured. Roots of the Icraft lie in Tampere University of Technology and multiple persons in working in Icraft has over 10 years of research and product development experience. During the years in Tampere University of Technology several prototypes have been implemented and a solid basis for development work has been laid. Icraft has good contacts with TUT and it is possible to cooperate with TUT during research projects for example in environmental and EMC testing.